Massachusetts Sen. Elizabeth Warren, a presumptive 2020 Democrat presidential candidate, just went after President Trump and chief of staff Gen. John Kelly. In fact, she went full throttle. 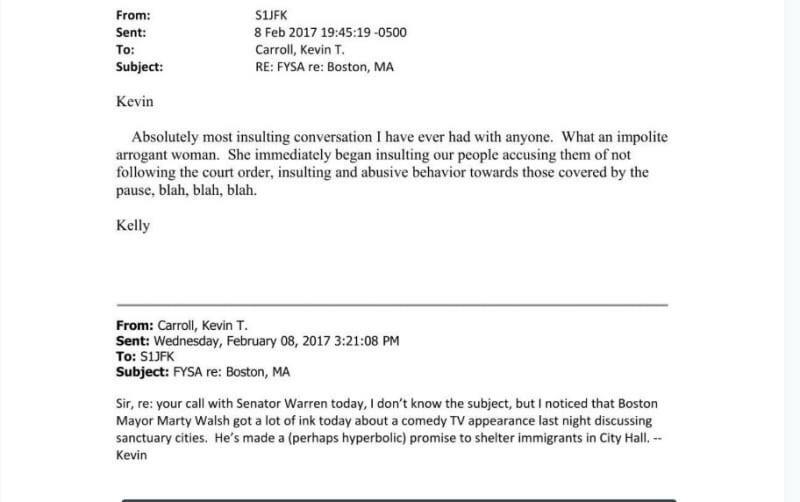 Big Chief Lyin’ Liz Warren is on the warpath after Buzzfeed News revealed an email they got through a FOIA request showing that John Kelly mocked her in 2017 after they had a terse debate over the phone in front of their staffs. There was only 1 problem: the new @DHSgov Secretary John Kelly wouldn’t return my calls. When I finally got him on the phone, he bizarrely insisted I made the whole thing up & we’d never tried to reach him in the first place. So I read him all the emails between our staffs. I asked John Kelly for an office number I could use in the future to reach him more quickly. He tried to give me the main line listed on @DHSgov’s website (really). Let’s just say I persisted longer than he did – and eventually I got his cell phone number. Before we got off the phone, I gave John Kelly something back for his troubles: a message on behalf of the American people that it was time to follow the court order and allow people stranded abroad to board planes into Logan Airport. Was I tough on John Kelly in that phone call? You bet I was. Apparently he thought I was an “impolite arrogant woman.” “Blah blah blah” – that’s all he had to say when he was called out for breaking the law and destroying lives. Mitch McConnell and Donald Trump can’t shut me up – and neither can John Kelly. (He can’t even get @realDonaldTrump off Twitter, and as far as I can tell, that was his main job description when he took on the role of @WhiteHouse Chief of Staff).